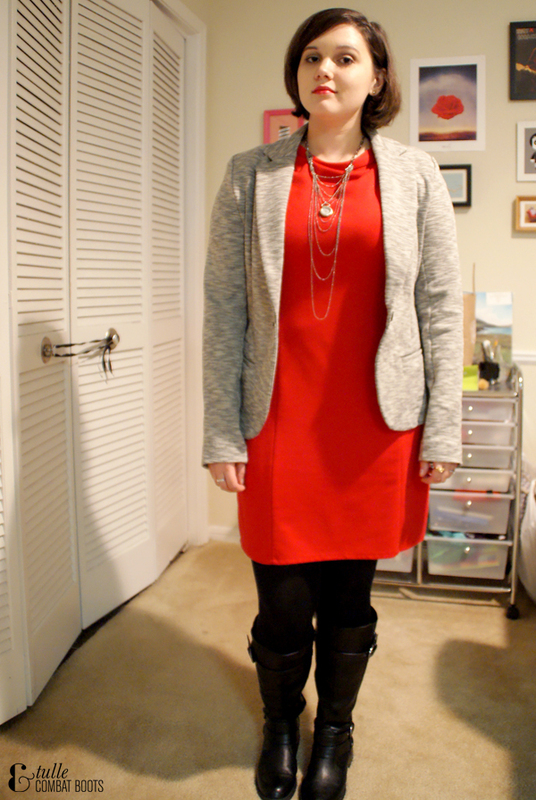 Tulle & Combat Boots: blazer + boots. 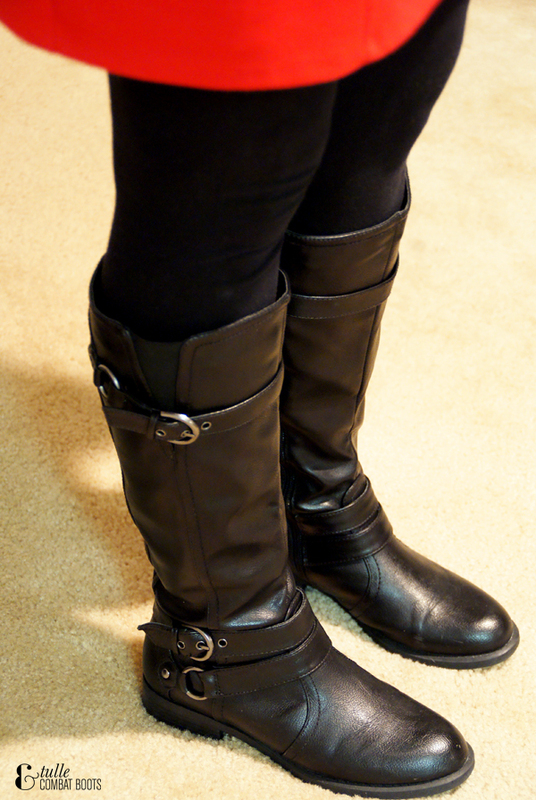 I finally got some riding boots! 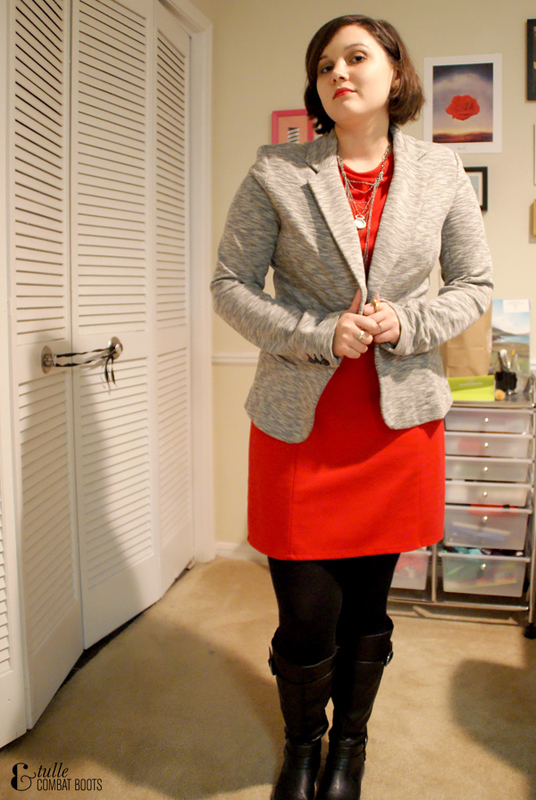 And a neutral blazer (how I ended up owning one black blazer and two pink ones, but no neutrals, I'll never know)! I've been looking for a decent pair of riding-style boots that wouldn't cost a gazillion dollars, weren't too trendy, and didn't have a ton of bells & whistles. DSW delivered, as usual, and I scored these for $40! Good things all around.